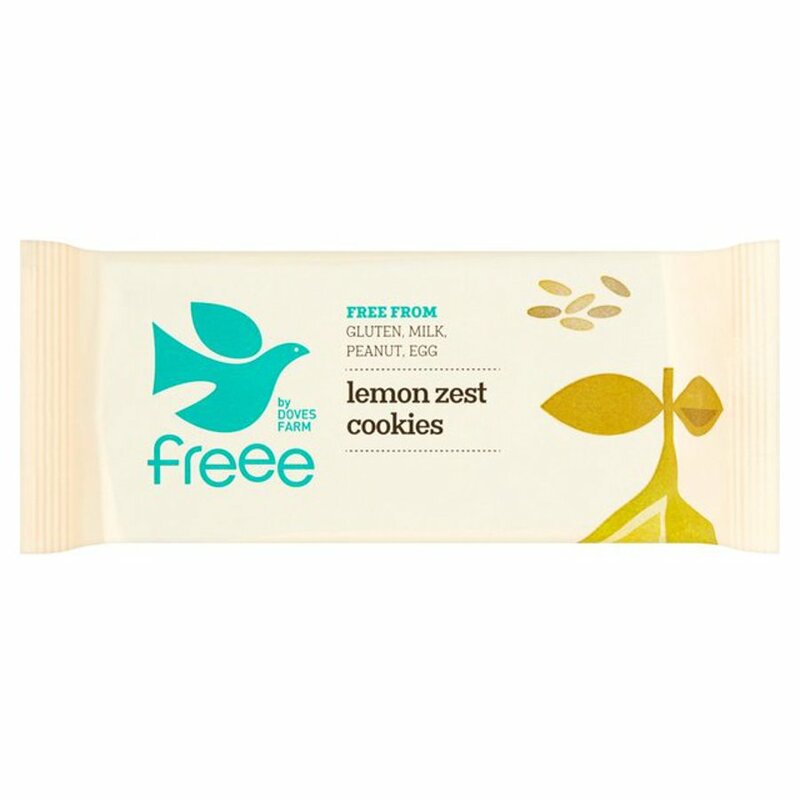 These lovely lemon cookies are made with real lemon peel which give them a great zesty flavour! Allergy advice: gluten free, we test for gluten, milk, peanut, egg and soya. The Doves Farm Organic Lemon Cookies 150g product ethics are indicated below. To learn more about these product ethics and to see related products, follow the links below. Am unable to provide a response as Natural Collection has failed to deliver the items! Am giving 5 stars for that reason as I don't think individual companies should suffer because of Natural Collection. I did not realise that these were wheat and gluten free. I bought 4 boxes as a special deal. A dry biscuit and not really very nice. Pleasant lemon flavour but odd soft texture (as opposed to crispy), and they leave a kind of powdery residue in your mouth. There are currently no questions to display about Doves Farm Organic Lemon Cookies 150g.